Let’s say that you’ve already created a job seeker profile on Dice. Now you have an updated version that you want to upload. Here’s how to do it. Once you’ve logged into your account, you’ll find yourself on the MyDice dashboard page. As you scroll down, look along the left side. You’ll see several different sections: Profile Management, My Search Agents, My Jobs, and My Resume. In the My Resume field, click on the link that says Manage/Add Resumes. This will take you to the My Resumes page. 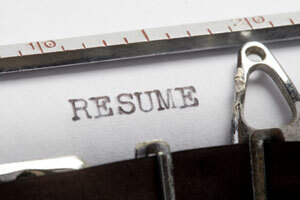 Near the center of the page, you’ll see a section called Available Resumes. If you have more than one profile, pick which of them you want to post live, then click its Edit button. We still need a bit more info from you before we can put your profile in front of employers. Make sure to update any sections that need your attention. When you’re done, scroll to the top of the page, go to the Search Settings field and select the radio button Searchable, Confidential, or Searchable by My Connections to make your profile active. It is a 325kb pdf, I do not understand why it isnt not allowing me to update this.